You’re faced with a great opportunity. Landing this deal could mean a 150% increase in your company’s revenue. You’ve heard it’s down to you and two other firms and you’ve got just one more opportunity to make a winning push. You want this and you’re going to go to great lengths to make it happen. How do you close the deal? As you can imagine, there’s tonnes of advice on negotiating and how to get it right. There are now whole courses on Negotiation offered at the London School of Economics and Harvard, to name a few prestigious institutions. Typical research tends to cover similar aspects of negotiation. 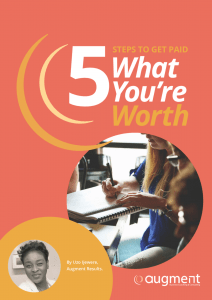 Get clear on your negotiating goals; play hard to get – come in at a higher price than you expect to close at so there’s wiggle room; never accept the first offer you get; don’t lapse on your professionalism, no matter how well you’re getting on with your counterpart, etc. I give my top three negotiating skills to master here. However, experience shows that whilst negotiations are a science (specific information will need to go into your proposal and contract, it must make business sense in terms of revenue and profitability and time factors), it is also an art involving human emotions and therefore tactics which take behaviour into consideration are sometimes more successful. Negotiations, like poker, are less about playing the game, and more about playing your counterpart. It’s my business to conduct research on these sorts of topics, and pass on that knowledge to my clients. Having read lots of research papers and books on the subject, I want to offer the best five tactics that I have come across. In his book “Never Split the Difference”, former FBI hostage negotiator, businessman and author, Chris Voss provides valuable tactical advice on how to increase your chances of getting a positive outcome in your negotiations. I love this book because Chris comes at the subject of negotiations from a very practical, very gritty, very emotionally-intelligent angle. Here are my top four tactics he writes about. Establishing rapport is going to help you achieve several things. 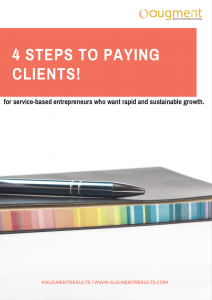 You’re going to establish relationship and build trust, which are the two primary pillars on which business is done, especially in the service industry – people buy other people. You’re also going to ease the interactions. How many times have you met someone that made you feel dis-ease and decided “yeah, let’s jump into a long-term project together!” Heck no! Most importantly, building rapport will help you uncover more information – about the project, about the buyers wants and needs, helps you understand the buyer’s motivation, etc. I’m sure you would agree that all this puts you at a significant advantage. Most people engage in the type of listening where they are subconsciously preparing their response while the other person is speaking. This is highly ineffective, because you are splitting your attention and not picking up on the non-verbal queues your counterpart is communicating. Learn to listen at a deeper level – what in coaching we call Level 3 listening, so that you can identify what’s most important to your counterpart. You do this by totally focusing on what they are saying, observing their body language, inflections in their voice, mood, etc. Take the time you need after they have finished to think up your response. This will communicate a level of thoughtfulness that shows you’re a safe pair of hands. How many times have you been in a pitch, and things got quiet and you rushed to fill the silence? Or you’re presenting and you start to speak quickly, so you can give all the information you think they need? How did all that work for you? It’s a common mistake we all make. We think that being ‘fast’ shows we are knowledgeable and prepared. It’s the exact opposite. Slowing the speed of the conversation calms your counterpart, takes the negotiation in the direction of an easy conversation, reinforces the rapport and trust you’ve built. Studies by researchers, psychologists, and even the FBI have shown that in negotiation type situations, there are three types of voice that can be adopted. The Assertive Voice. In most situations this would be inappropriate because it usually gets your counterparts back up, agitates them and makes them want to push back on your efforts. Try not to use this voice very often. A Playful Voice. This should be who you aim to show up as in your normal interactions. It’s the voice of an easy-going, good-natured, reasonable person who is interested in open communication to promote understanding and win: win situations. A Late-Night Radio Personality Voice. It’s soothing and slow. Your aim is to inflect downwards. For e.g. let’s say your team shows up for a meeting and the only man in your group is automatically assumed to be in charge. 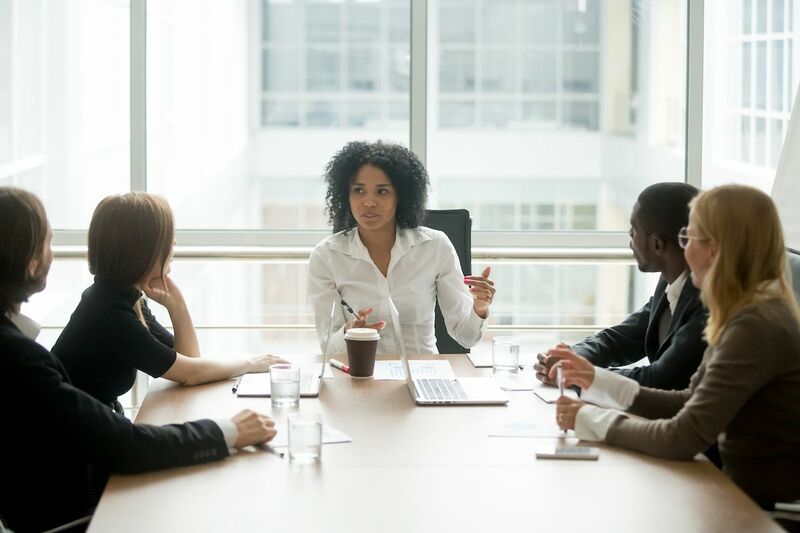 You stand to address the room and say, “I run this business.” When done correctly, it exudes authority and trustworthiness, without getting anyone’s back up. This is the voice you want to aim to adopt in negotiations. What is Mirroring? It’s when one person subconsciously imitates the gestures, speech patterns, or non-verbal queues of another. It is what babies do in the early stages of their life, when they are learning how to talk and walk, and it is why we find it so compelling (or cute). Mirroring implies similarity. Humans don’t like differences and the more they feel you are like them, the more compliant they will be. Skillful negotiators have learned to consciously employ this tool. A top tip is to start your mirroring with “I’m sorry” then repeat the last few words your counterpart just said. For instance, you’ve been asked to come back in to defend the need for some aspects of your proposal which you consider essential, but for which they would rather not pay. You’re speaking with the buyer. You: “I’m sorry, you don’t feel it’s essential?” This question asked in late-night radio DJ voice prompts them to help you under; stand their challenge. And so, they reword the instruction. At this point, you wait silently for the question to sink in. Go on to have a clarifying conversation supporting your reasons for the recommendation and encourage total buy-in. Deal done. There you have it – four tactics that get you closer to a ‘yes’ in negotiations. Give it a try and see how you get. Maybe you can use it to close non-business deals as well.To cut out the arguments with your kid? Get you partner to attended the opera with you for a change? Every little helps, right! Tell us what you think. Also, we’d love to hear about your tactics. Share them in the community or in the comments section here. Augment Results. It has never been more important for organisations to be seen to be human. At Augment Results, we power performance in companies, teams, and individuals by helping you adopt better management strategies, improve leadership skills, and achieve overall better results through more engaged, empowered and productive people. We offer seminars, workshops, consulting, and one on one coaching.